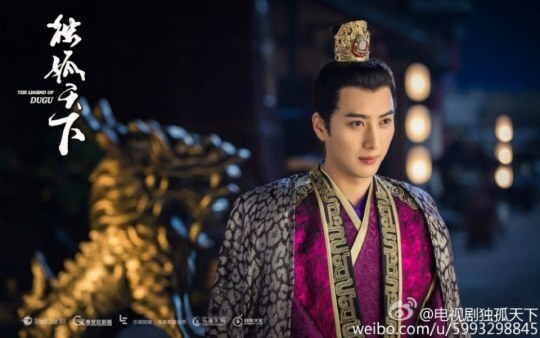 Reading through the profile of Dugu Qieluo, you realize how well connected their clan was with a sister being honored as an Empress of the Tang Dynasty, a half-sister as an Empress of Northern Zhou, and Dugu Qieluo as an Empress of the Sui Dynasty. 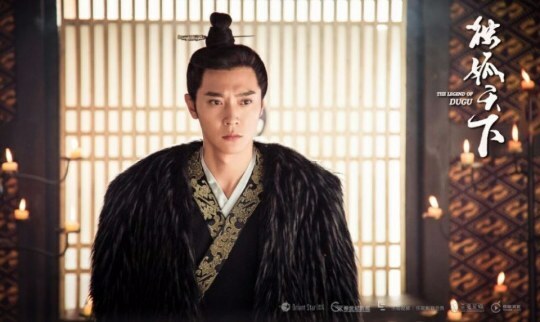 The Legend of Dugu 独孤天下 (previously The World of Dogu) has released stills. 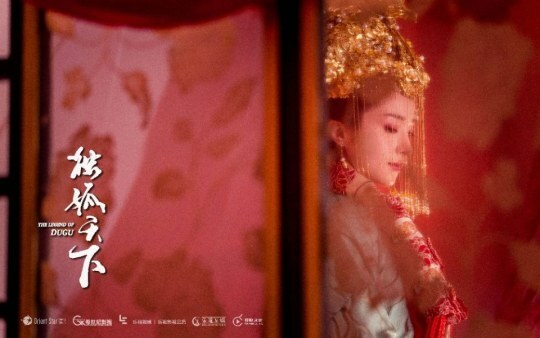 Starring Hu Bingqing, Zhang Danfeng, An Yixuan, Li Yixiao, Xu Zhengxi, and Ying Haoming, those curious about the Sui Dynasty can get an idea of its founding through this drama. More stills and (WARNING!) spoilers at the bottom of the post. During the Northern and Southern Dynasties, the house of Dugu from Northern Zhou came under the attention of all due to the prophecy of the realm coming under the hands of their house. 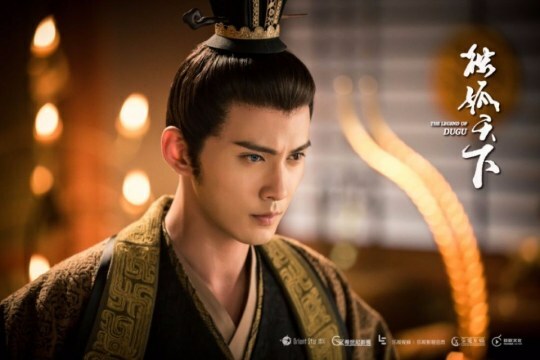 The virtuous official Dugu Xin had daughters, all of whom were astoundingly beautiful. The eldest daughter (Dugu Bore) in order to fulfill the prophecy, gave up love and married into the royal family of Northern Zhou. Unfortunately, after seemingly obtaining everything she dreamed for, she died suddenly during difficult childbirth. 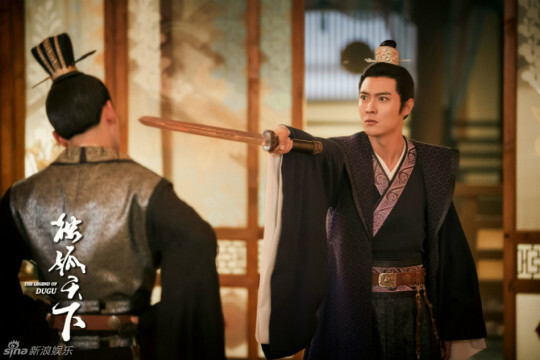 The enemies of the house of Dugu quickly seized this opportunity to bring ruin upon the house, forcing the virtuous official Dugu Xin to commit suicide. 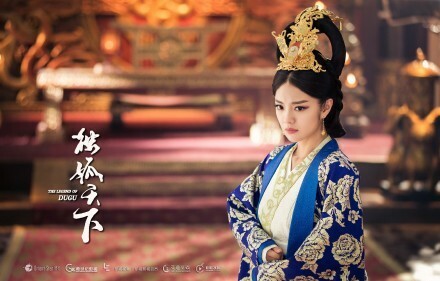 With the hard times, the fourth daughter (Dugu Mantuo) desiring riches, refused to marry her fiance Yang Jian and instead stole away her younger sister’s fiance Duke Ren of Tang and gave birth to Li Yuan, later being honored as an Empress of the Tang Dynasty. 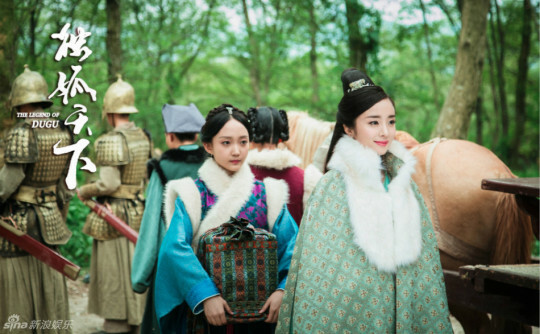 The remaining daughter, Dugu Qieluo, used her wit and persistence to survive. 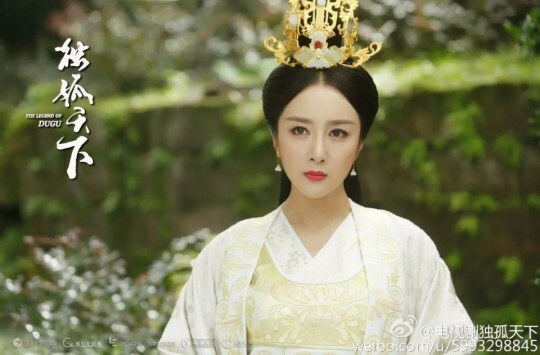 She eventually fell for Yang Jian and the two became the founders of the Sui Dynasty.